It happens so often that you just can’t put into words what you want to buy but you can clearly see an image. 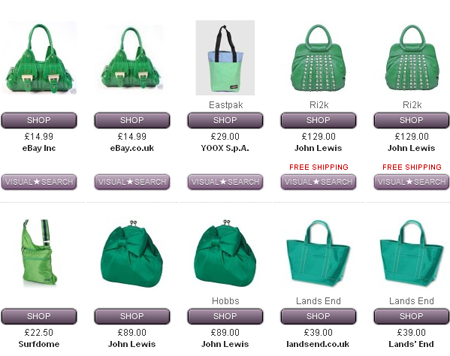 Or that you can match the color of your shirt to the color of your new handbag. 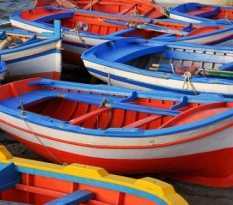 Luckily there are quite a few visual search engines to come in handy. 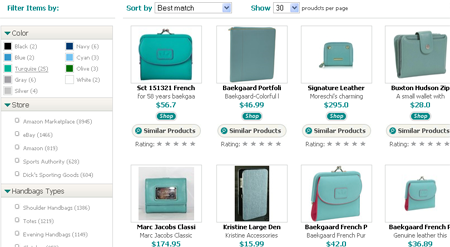 This post lists the coolest and the most popular of them: shopping search tools that allow to search by color! 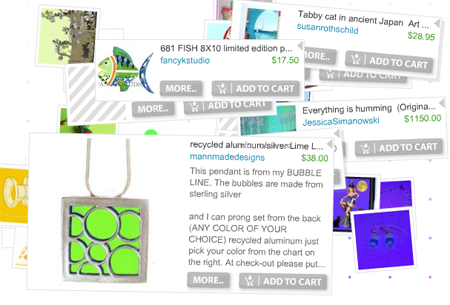 Etsy is the community of sellers who sell homemade products. 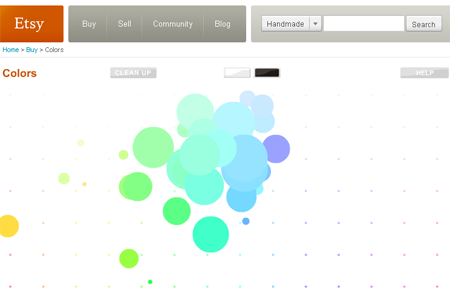 Just hover over the search field and watch the colors pop up following your mouse. 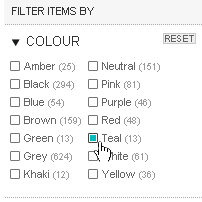 Select the color from color picker. Like.com is by far the most popular visual search engine for shopping. It indexes the huge variety of products and has the large range of search options. Limit the search by site. Empora is the fashion search negine most women will appreciate. Picitup Shop claims to be the “most extended product search on the web”. Very good selection, Kate! 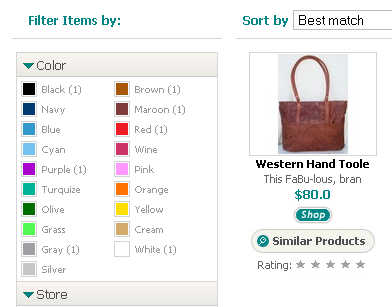 Every major merchant should also incorporate a “color” option into their product search function (like ShoeBuy, for example, does). It would be really interesting to poll people to see how many of us (and how frequently) are color-shopping. Also, I wonder if the responses will differ depending on gender. Thanks for your hard work! I’ll try color-shopping. This is a new site related with the fashion domain field and the engine is realized by a Computer Vision laboratory at the University of Insubria, Italy.